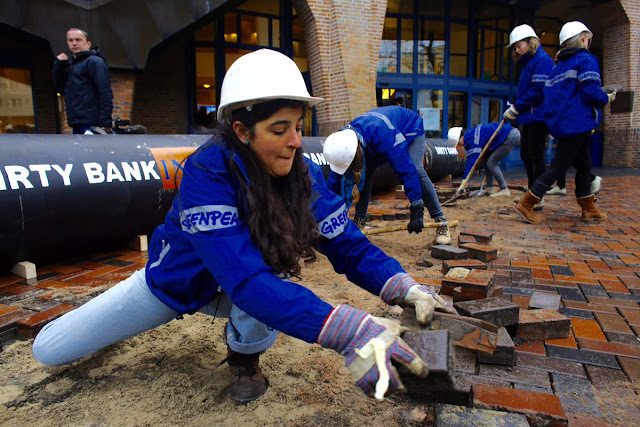 On Thursday morning a group of about 20 activists dug room for and planted 15 meters of super heavy pipe sections at the ING headquarters in Amsterdam Zuidoost. They did so to protest against the Dutch bank's part in financing the highly controversial Standing Rock pipeline in Dakota, United States, Het Parool reports. With the huge pipeline built right into the ING headquarters' office, the activists want to show what a massive effect such a pipeline can have on your home. "We're giving them a taste of their own medicine", campaign leader Kim Schoppink said to the newspaper. 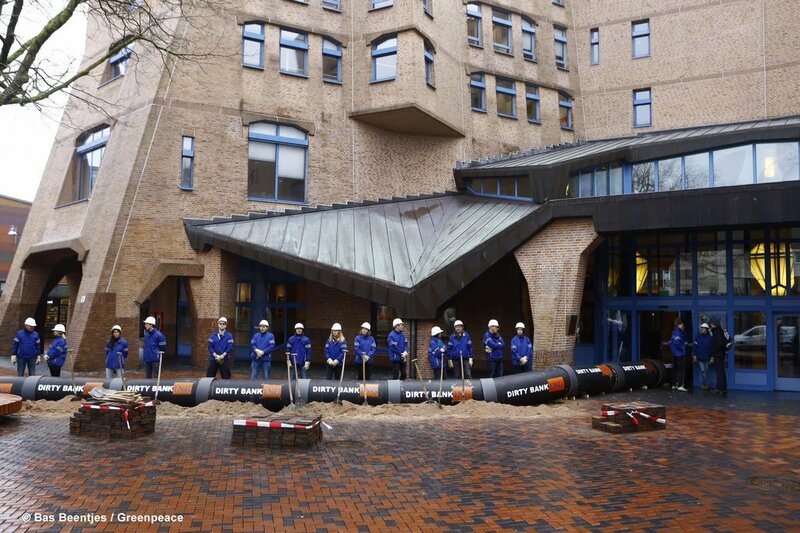 The environmental organization is planning to extend their pipeline even further if ING does not change its position. 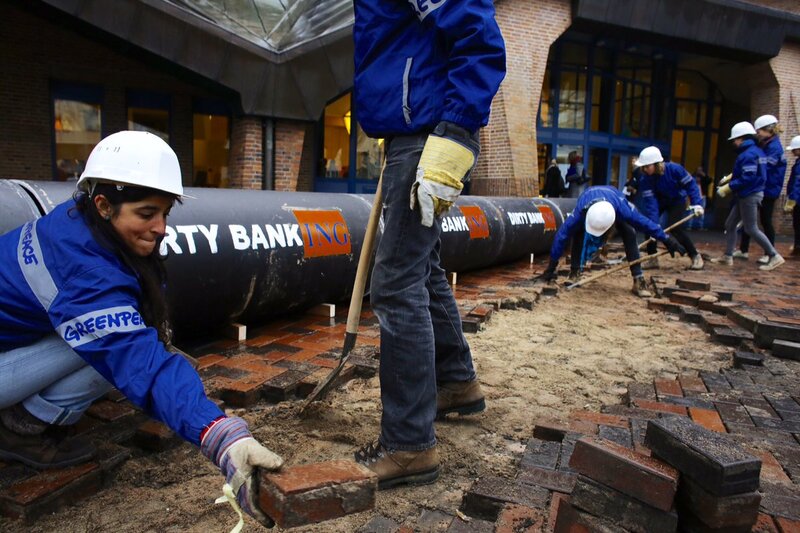 ING is one of 16 banks that promised a loan to the builders of the Dakota Access pipeline. ING's part is 120 million dollars. The bank itself is not comfortable with the construction of the pipeline, but is contractually obliged to provide the money once the necessary permits are issued, a spokesperson said to Het Parool. According to him, only after the financing was complete did ING find out about the Stand Rock Sioux' fear about oil spills from the pipeline into a river that feeds into their drinking water. The bank approached the builders on the matter and hopes to be able to exert influence from within. The bank also met with the leaders of the tribe. "If we knew beforehand we never would've gotten into it", the spokesperson said. "We openly distanced ourselves from this client, we sold our shares in the parent company and reject any new funding requests." 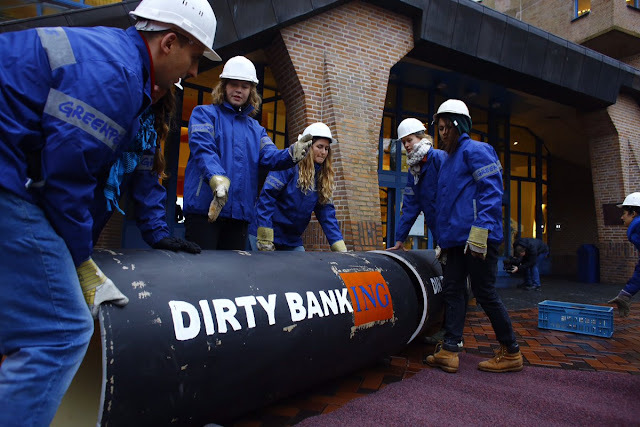 But when it comes to the existing loan, ING can not back out. 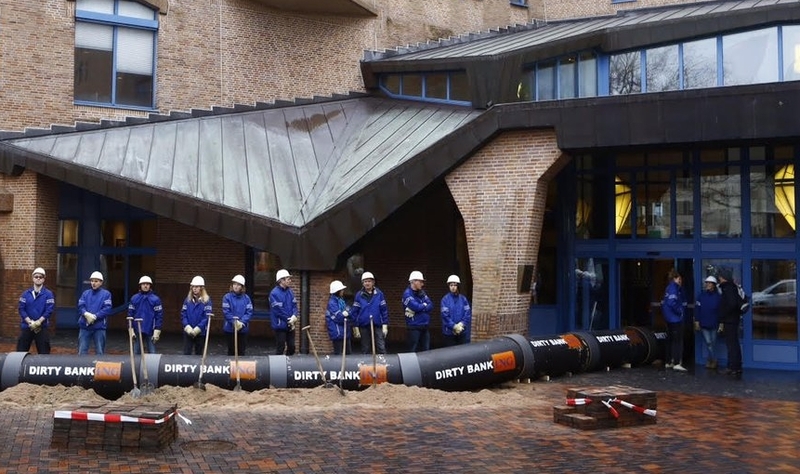 Responses to "Activists built a pipeline next to a DAPL Investor Dutch bank to show how it looks"